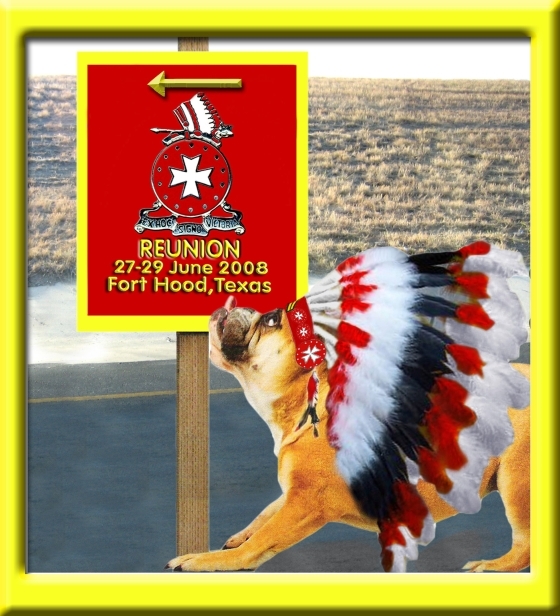 The 14th Field Artillery Regiment Association will welcome approximately 50 Soldiers from 1st Battalion, 14th Field Artillery ("Steel Warriors") to our Reunion at Fort Hood, Texas on 27–29 June 2008. 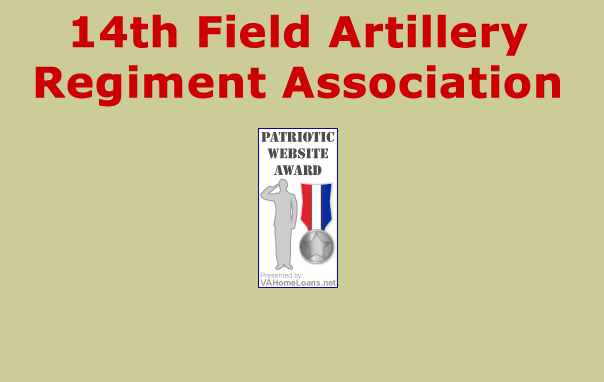 Please make plans to join us as several generations of Satanta Regiment Artillerymen celebrate our heritage. Now is the time to order Regimental shirts and hats to wear at the Reunion. There will not be many available to buy at the Reunion, so download an ORDER FORM, fill it out, and send it in. Go to the QM Store page to see all the other Regimental gear that's available. * – If you have a special dietary need, request or concern about the meals, please contact Rex Weaver before 10 June. — Please provide Social Security Numbers for yourself and all guests if you will being riding the bus to the on-post activities on Friday. — Those with Military IDs may obtain a one day visitor pass at the Main Gate. — Those with DOD vehicle decals must show military ID at the checkpoints. — The fee for the Reunion, the Friday evening dinner, and the Saturday evening banquet is $93.50. — Attendees have the option of not attending either or both of the evening meals. (Pricing details are shown on the Registration Form. — Friday lunch at a Dining Facility on Fort Hood will be approximately $5.00 per person. You will pay at the Dining Facility, not when you submit your registration form. Our contact at the hotel is Sherry. Room Rate: $100.00 per night. (Includes all taxes and fees.) This special rate is available to reunion attendees for two days prior to the reunion until two days following (25 June – 1 July). Check-in time on Friday is 1300 hours. Breakfast is included with our rooms: juice, coffee, waffles, breads. cereal, fruit, and sweet rolls. RV parking is available at the Killeen Convention and Conference Center, across the parking lot from the hotel.